A funding shortfall will not halt work on the new GPS ground system this month, although a decision expected in the next two weeks may signal major changes in the program. 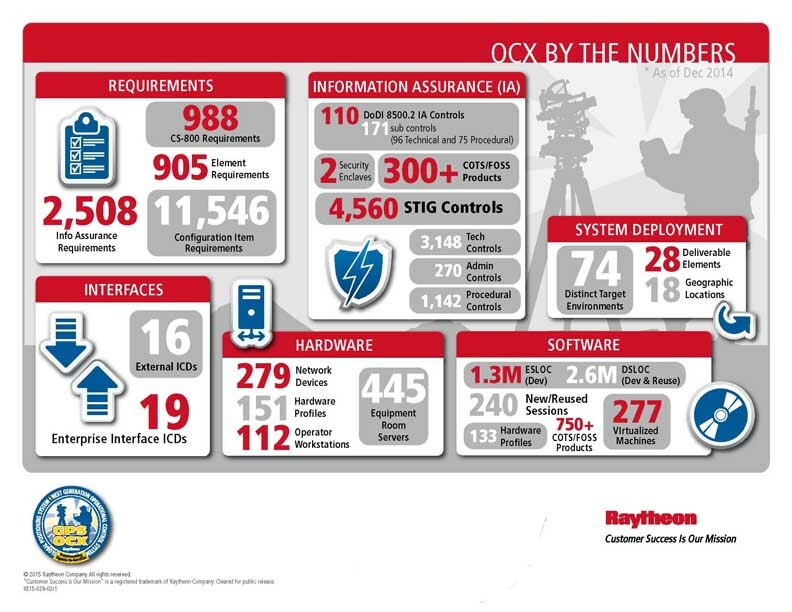 Increased personnel costs on the Global Positioning System Next Generation Operational Control System (OCX) program had eaten up the fiscal year 2016 budget and were poised to force managers to stop work on September 15. The Pentagon had requested Congress to allow $39 million to be reprogrammed to bridge the gap but lawmakers left for the summer recess without approving the change. The shortage emerged after the program boosted its staffing by some 25 percent to meet a new schedule set for it by Frank Kendall, the under secretary of defense for acquisition, technology, and logistics. OCX had gone through a “Deep Dive” review before Kendall in December, getting its new marching orders and a two-year extension that came with built-in quarterly reviews to ensure it was hitting its marks. The new schedule, however, was going to force a temporary work stoppage that Pentagon budgeteers said would cost the Air Force another $90 million plus an additional four months delay on the schedule. The last congressional committee signed off on the reprogramming on September 7, Col. Steve Whitney, the director of the GPS Directorate, told the Civil GPS Service Interface Committee (CGSIC) meeting in Portland, Oregon, on Tuesday. That money is also two-year money, he told Inside GNSS; so, it can be used to support work into fiscal year 2017, which starts October 1. The funding should last until mid-October, according to Whitney. That happens to be about the time that Secretary of Defense Ashton Carter must decide whether or not to continue with some sort of revised version of the OCX program or allow the development effort to be cancelled. The latest deadline is the result of serious cost growth in the OCX program. On June 30 the Secretary of the Air Force declared the program had experienced a critical Nunn-McCurdy breach — a level of cost overrun that leads to automatic cancellation unless the secretary of defense certifies the need for the program to Congress and lays out a plan for getting it back in line. That review leading up to a possible certification is being led by Kendall, the Pentagon’s leading acquisition official. He has been holding weekly meetings, Whitney told the CGSIC, co-located with the ION GNSS+ 2016 meeting, and plans to make his recommendation by the end of September. Secretary Carter then has until October 13 to certify the program to Congress and avoid closure.